Plucked from the digital world, crafted for the real world and ready to be introduced into your world, the Fantasy Gamer Breaker Dagger is eye-catching and uniquely designed - a must-have for any fantasy cutlery collection. Avid gamers will immediately recognize it, as it's inspired by iconic blades on some of today's top video game blockbusters. 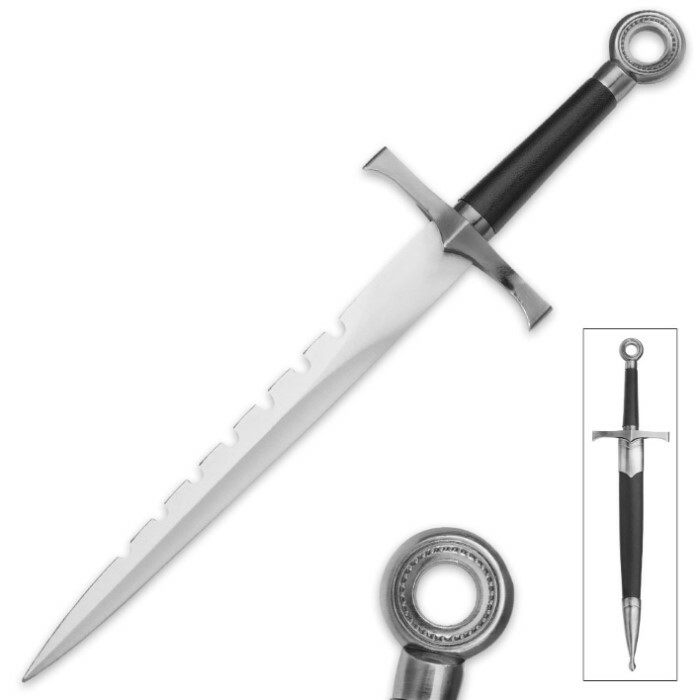 It features a 9 1/4" stainless steel display blade with distinctive notching characteristic of popular video game daggers. 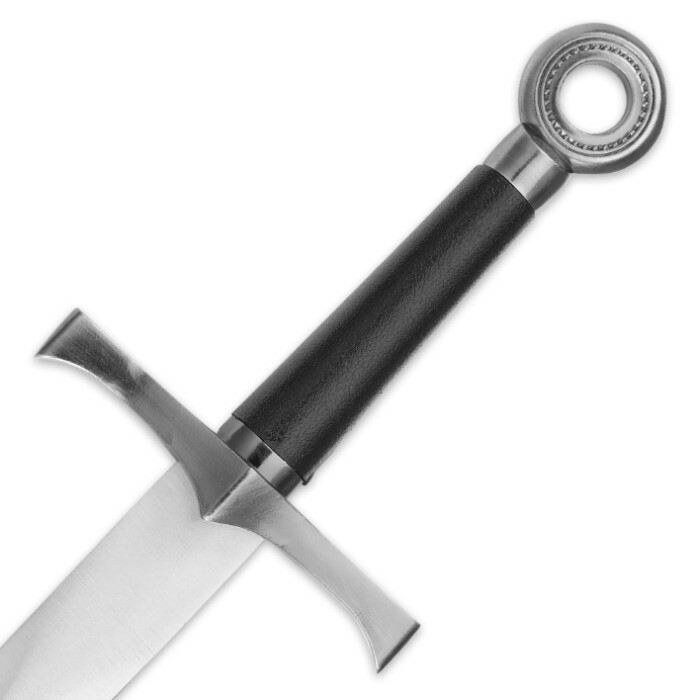 The elegant hilt is crafted from a tough metal alloy, and the guard and medallion pommel are bathed in a rich patina to impart the look of fine pewter. On the handle, rugged TPU provides a comfortable, no-slip grip. Even the included TPU sheath is dressed to the nines with chic pewter-esque metal accents. 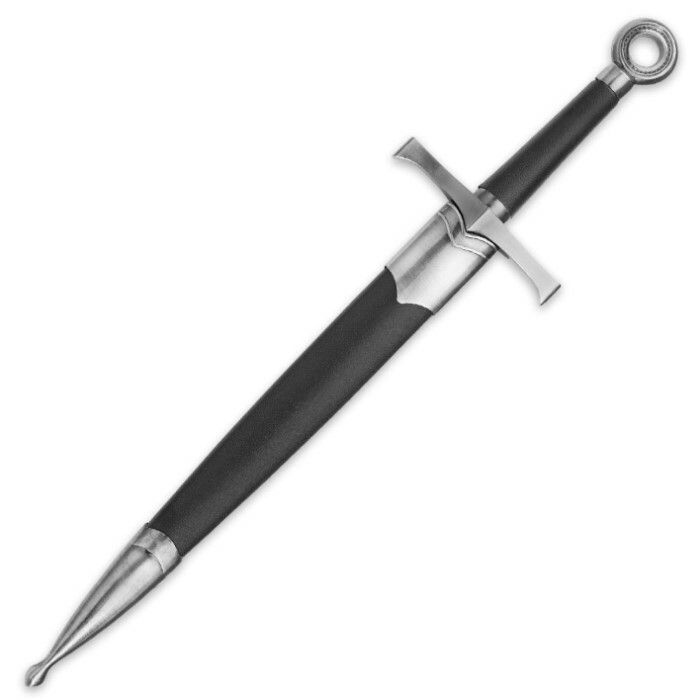 Turn your gaming fantasy into reality with this awesome video game-inspired display dagger!